Designing and building a portable sensory space for students on the spectrum. Misercordia, a community for people with disabilities, runs a day program that staffs 1 to 2 counselors per 20 students. On certain occasions, students may need to be taken to a sensory room, which is a calming and safe space, for self-care and stabilization. However, due to the student-to-staff ratio, the teachers often run into a challenge when taking a student to the sensory room. They can't afford to leave a full classroom, thus the need for a portable, pop-up sensory space. On a team of three, we conducted initial research on sensory rooms and the challenges facing students with intellectual disabilities. We then met with faculty and experts and visited the multi-sensory rooms and classrooms at Misercordia. After initial user research and observations, we determined the key design criterion needed for the portable sensory space. Safety, mobility and adaptability were determined to be the most important for the students and teachers. The "space" was created using modular pieces that never had to be permanently attached. The top could be removed and placed on a desk or the panels could be removed and replaced with different material pieces. 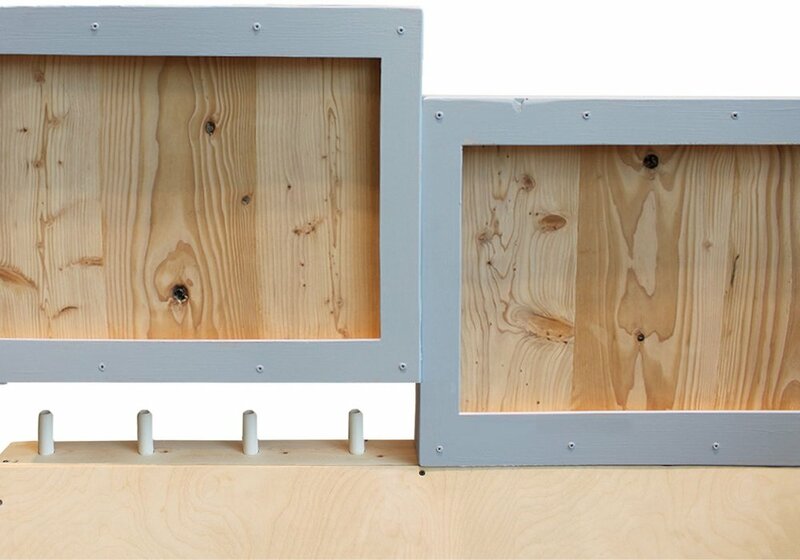 For safety purposes, we developed a discrete locking mechanism that was hidden from students as a safeguard. The 4' 1/2" structure was built in the shop at the Segal Design Institute at Northwestern University. 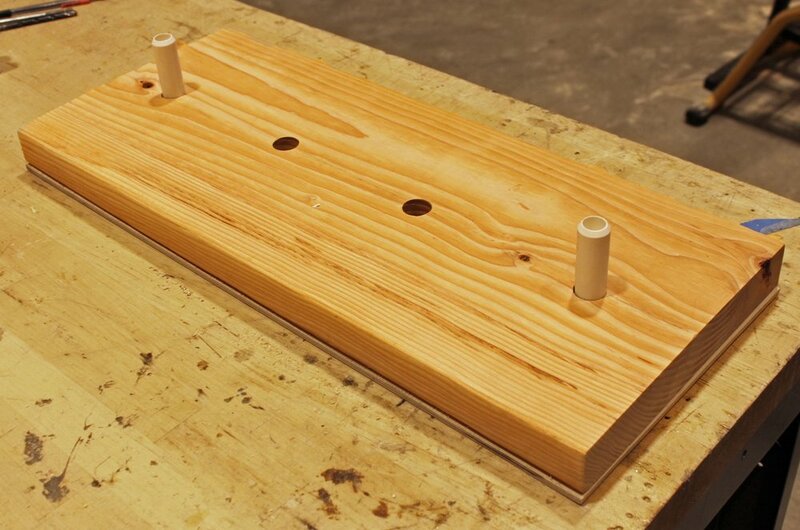 For the prototype, the product was built using wood and PVC pipes. Each component was sanded down and coated in polycarbonate for ease of clean and minimize any bacteria on the surfaces. Ideally, the final product would be built with injection molded plastic. For the final product, the triangle shaped base provided stability and the materials used provide durability in a high-traffic, high-excitement environment. The top portion of the product optimizes adaptability and houses interchangeable sensory boards that provide a relaxing area, despite the external environment. In the end, the teachers can use the product to provide a relaxing environment that suits each students' needs, no matter where they are. For this project, I created the technical sketches and designed the locking mechanism for the sensory boards. I also helped with user research and constructing the final piece.